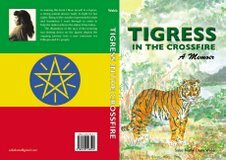 Tigress in the crossfire is a memoir published in 2006 by Saba Mitslal Desta Webb a former TPLF fighter. The content of this book is a personal account of the 17 years Tigryan historic revolution. 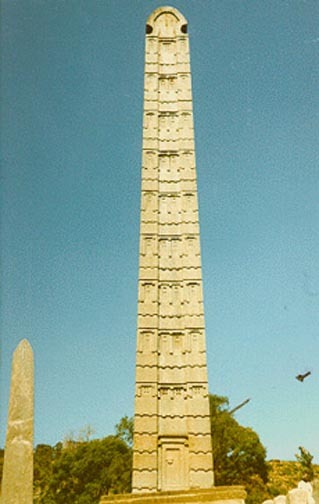 It also covers Ethiopian History and the wider world we are living in. My name is Saba Mitslal Desta Webb, I have written a book called Tigress in the Crossfire, my biography. This is my story, the story of a teenage girl, a freedom fighter in Ethiopia, who fought in the struggle for justice and political freedom for my country, before coming to Canada as a young woman, where I faced another battle, the struggle for my eyesight. It is a personal journey, set against the backdrop of a once peaceful African nation, torn apart by domestic warfare and foreign invasions. Ethiopia, once the envy of Africa, with three seaports, a lush climate, a gentle population, became, in the course history and greed, landlocked, and paralysed, economically, politically and socially. In the 1970s as a young girl my comrades and I risked our lives to put an end to 12 centuries of warfare. So passionate were we in our determination to free our country from feudalism, radical religion, and dictatorship, as fighters we took a vow of celibacy to ensure love and romance not get in the way of our mission. In a battle I was wounded in my head and both my eyes, my left eye severely damaged, later I applied to become an immigrant in Canada, where I looked forward to experiencing democracy and freedom. However in my new country, instead of the peace I sought, I was thrown into a cycle of events which led to my becoming blind. Ironically, as my country emerged from the dark to the light, my life took the opposite turn. The idealist who took up weapons to defend her country, became a pessimist. My journey in the new world, which began in the light, faded to black. From political injustice to personal injustice to a love story., I tell the story of an operation gone horribly wrong in the hands of the medical system, of a blind woman? desperate fight against the Ontario Medical Association, of an immigrants tale of initial hopelessness and eventual reconciliation. The ending to my story is bitter sweet. No miracles of sight exist for me, but there is hope for freedom in the country I left behind, and new love and independence in the country I chose to belong to. Being blind isn? easy and never will be. But it was not the end of my life. As soon as I could admit to myself that I was permanently blind, I knew I? have to change my ways in some things, but I remain determined, still believing that I can do what I want to do, and do it well. It is available in Toronto Canada and can be purchased for $20 USD in Washington DC from Aug. 01, 2006 on ward. The book could be bought in the following places. A Different Bookstore 746 Bathurst St.
For more option in purchasing the book please e-mail Sabakaza@gmail.com . Hello Saba, My name is Jerusalem emailing you from the DC area community. Sorry for the delayed email response that I have anticipated to send to you a long time ago after reading your book. Soon after I purchased your book at the Tigrean festival, I glanced over the cover to get a picture of the books story. However, I didn�t really look through the inside story. Several days later at about 9.00 pm I opened the book and started reading page by page. Although it was my sleep time, I wasn�t going to stop and I finished it at about 3.00am. Tears began to wash off my face as I was going deeper and deeper into your story. It was then that I began to sink into your story and got immersed by your rich and powerful testimony of determination and dedication. I plan to purchase more of your books to give to people on my Christmas present list. I want to get as many people as I can get to read the book. I feel like your selfless, sincere, honest struggle, and the challenges you have faced in your life are meant to be inspirational to many of us. You gave us strength, appreciation for life, and people TEGADELTY like you who have been through many challenges to bring peace and stability to the nation, especially Tigray. I thank you for writing this book in a language where the whole world can read to learn and admire the forgotten and hidden identity of the powerful, intelligent, dedicated, determined, peace loving, and disciplined Tigrean people. I am proud of you for challenging life and obstacles with great determination. I have no doubt that God is using you to teach us a lesson about life. May God continue to give you all the blessings.